BERKELEY, Calif. (KGO) -- Despite heated protests, Berkeley just passed a set of strict laws aimed at homeless behavior on the streets. The city council voted six to three in favor of the laws Tuesday night. They ban people from sleeping in planter beds, leaving belongings in trees, or taking up more than a two square foot space on sidewalks. Homeless advocates call this a "half-baked reactive response to an important issue." One councilwoman says the goal is to discourage obnoxious behavior, not penalize the homeless. 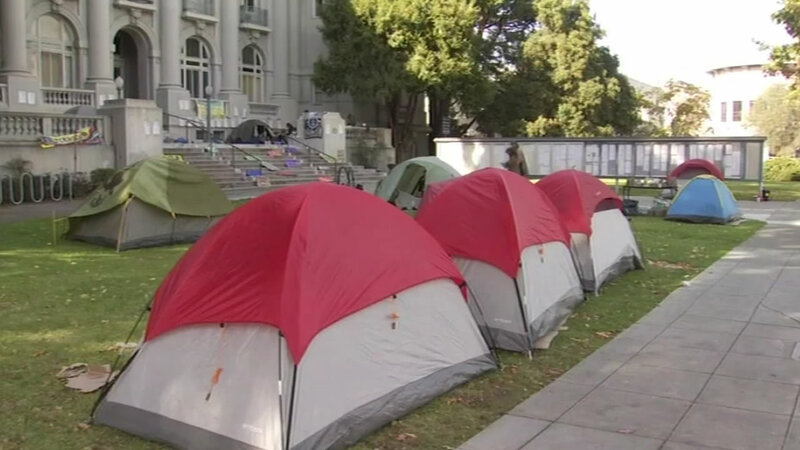 It is day two of a campout at the old city hall in Berkeley, where the city council is poised to crack down on the homeless, living on their streets.